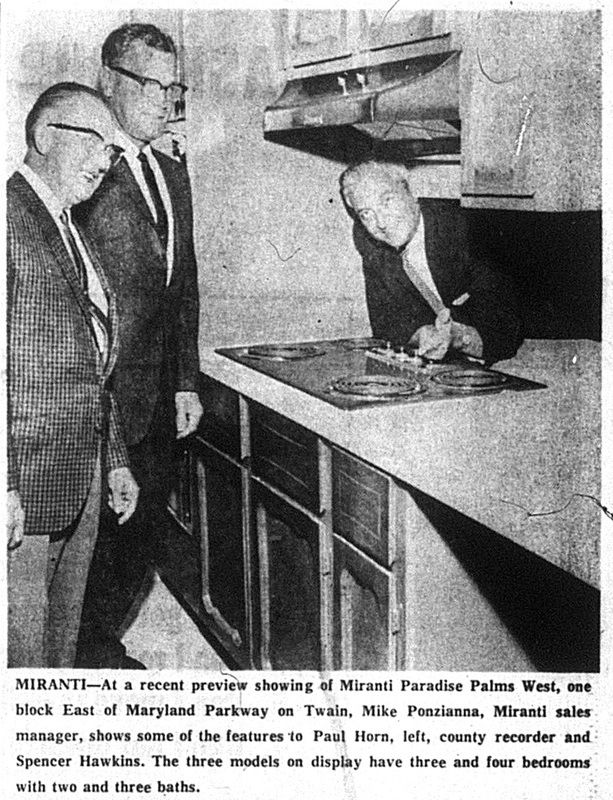 In December 1962 the official announcement came out that builder Tony Miranti would soon be adding over 100 homes to the Paradise Palms community. 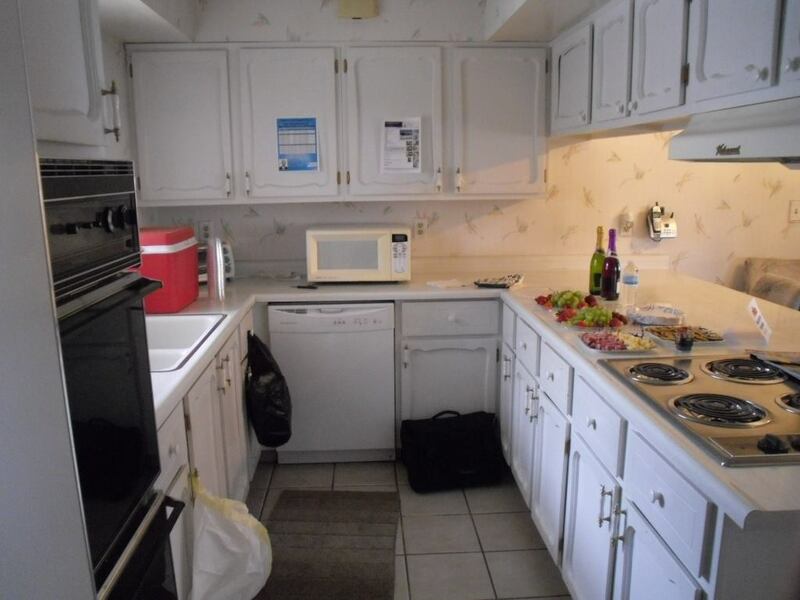 Standard features on these homes included central vacuum systems, dishwashers, garbage disposals, built in ranges and ovens. Several options were offered to each buyer allowing for each home to be semi-custom, including paint and bathroom tile colors and the option to choose between carports or a garage. Interior design was by Los Angeles decorator Martharue White (1911-1995) with original models located at the southeast corner of Burnham Avenue & Sombrero Drive. Original prices of these homes in 1963 were $23,500 to $25,500, or $179,300 to $194,600 in 2013 dollars. 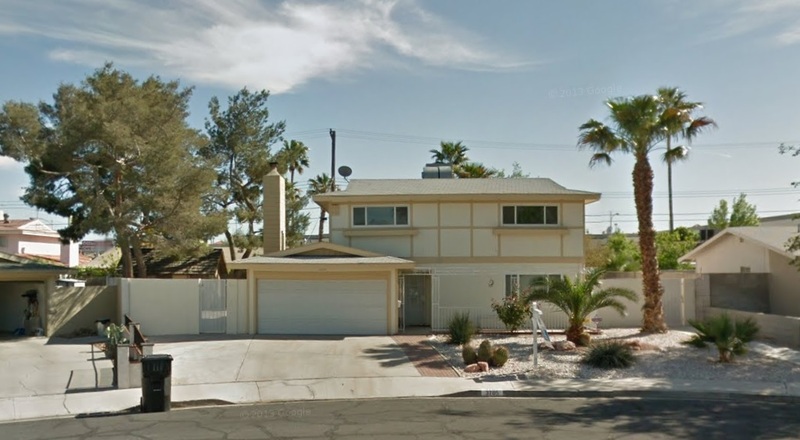 Sales were robust and all 110 Miranti Homes on the north side of Desert Inn Road were sold by the end of 1963. In 1964 Miranti acquired a small strip of land on the north side of Twain Avenue, between Algonquin Drive and 300 feet west of Spencer Street. Also included in this tract was the lot at the immediate northwest corner of Algonquin Drive and Twain Avenue, and the first three lots on the east side of Algonquin Drive at the northeast corner of Twain Avenue, which were all dubbed ‘Paradise Palms West’. By June 1964, popular demand had brought housing prices to $28,500 to $32,900, or $214,700 to $247,900 in 2013 dollars. 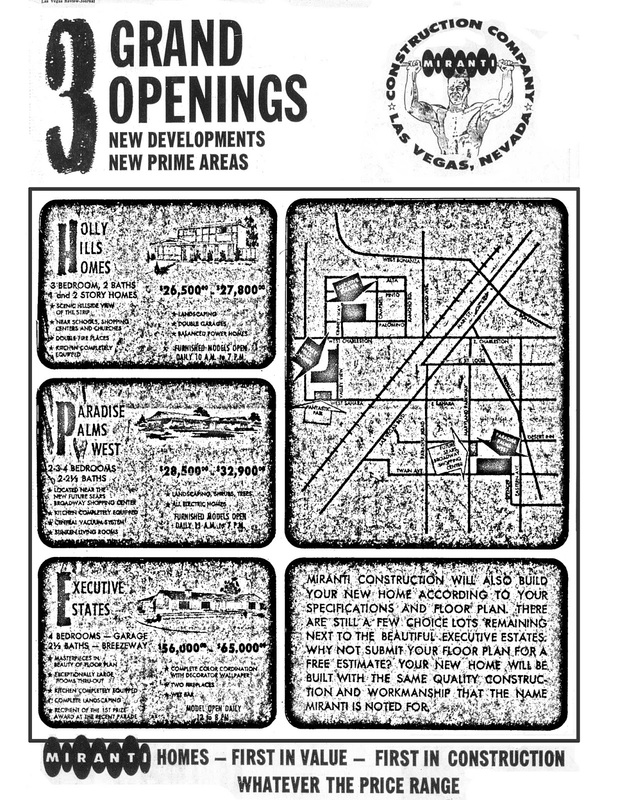 In addition to the grand opening of Paradise Palms West, featured in this advertisement from 1964 were the grand openings of Miranti’s Executive Estates and Holly Hills Homes. Executive Estates was at the southeast corner of Kenny Way and Palomino Lane while Holly Hills Homes is at the northeast corner of El Camino and Valley View. 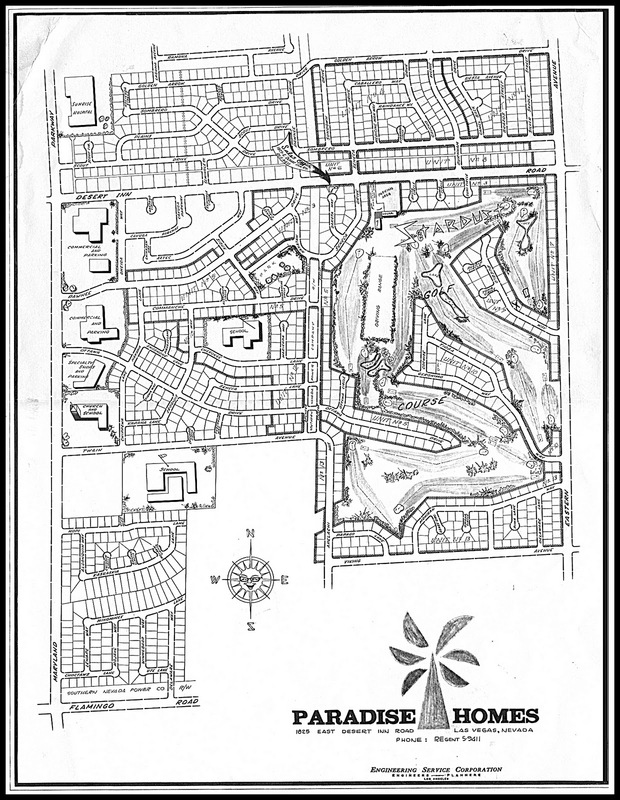 Executive Estates was a semi-custom infill development, and it appears only a very small handful of homes were mixed in among the existing custom 1950s ranch-style homes, while about 120 tract Holly Hills Homes were built.